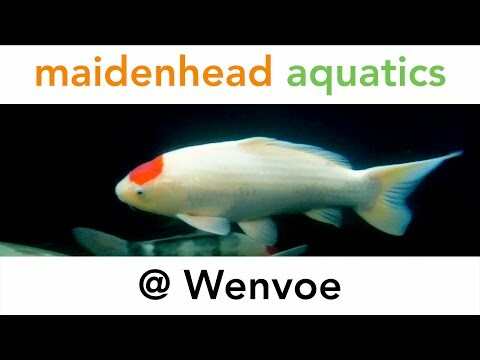 Maidenhead Aquatics @ Wenvoe is a pond focused store that specialises in high quality handpicked Japanese Koi from renown breeders, throughout Japan. We also specialises in the outdoor water garden, offering a large selection of Koi and pond fish as well as specialist equipment for both 'water entertainment' and larger stocked ponds. The pond enthusiast is well catered for in the pond section which greets customers entering the store. A range of pre-formed pools and waterfalls acconpanies the well stocked shelves inside to provide everything for the fishkeeper. The store stocks equipment for all size ponds including Easypod filters and the Nexus filter which can be seen running the stores own Koi vats. You can also feed the pond fish with food purchased in store. With over 125 aquariums, the extensive and well-stocked fish house caters for many areas of the hobby with both familiar and unusual community species, including Stendker Discus as well as unusual "L-number" Plecs such as the sought-after Zebra Plec. We also stock high quality Discus & other central and S.American Cichlids. The bread and butter tropical and temperate fish such as Danio, Tetra and livebearing fish species always in stock. Wenvoe also boasts a large selection of Corydoras as well as an extensive range of community fish. Fancy Goldfish are stocked in a variety of sizes and grades, from the durable Comets to more sensitive varieties such as Pearlscales. 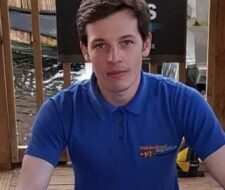 With a large range of available aquariums from starter to expert, Maidenhead Aquatics at Wenvoe can cater for all your fishkeeping needs where our staff are only too happy to help. 1st place regional welsh store in PFK 2017 reader's poll.